Will the Patriots march to another 14-2 record? 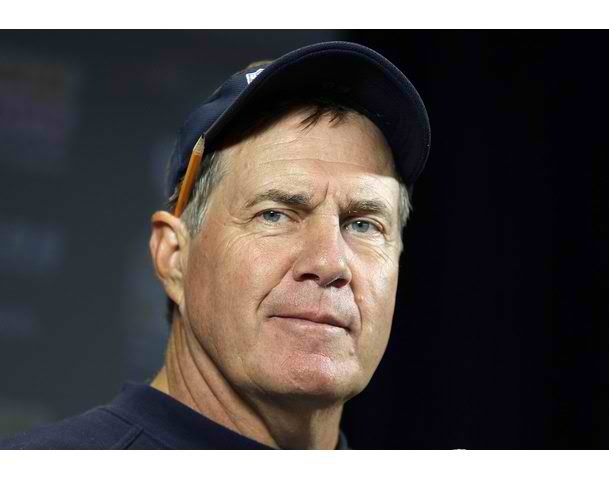 What will Bill Belichick address with his stockpile of picks going into this year’s draft? Did the New York Jets tilt the balance of power in their favor and did they gain a psychological edge over their divisional opponent? Things to keep an eye on as this season unfolds. Quarterback: There isn’t a quarterback in the NFL that rates as high as Tom Brady. He won the MVP for 2010 unanimously for arguably the best of his 11 career seasons. With a pedestrian receiving corps and series of backs, he threw for 36TDs and only 4 interceptions. At midseason, we were unsure how Brady and the Patriots offense would fare after moving Randy Moss. Tom made Julian Edelman, an older Deion Branch, and TEs Gronkowski and Hernandez look like seasoned pros as the Patriots moved to more of a possession passing game. After setting the record for most pass attempts without an interception at 335, Brady set another career record for touchdown-to-interception ratio at 9.0. It seems time to remove Brady from contemporary comparisons and focus on his place in history. 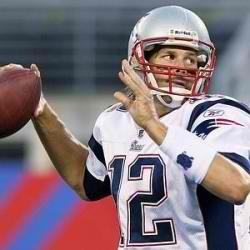 He has an overall record of 125 wins and only 37 losses to go along with his 3 Super Bowl wins. Offensive Backfield: This backfield is in need of an upgrade. Danny Woodhead and Ben Jarvus Green-Ellis are marginal at best. Woodhead played commendably during the second half of the season, rushing for 579 yards total. Green-Ellis ran for 1,008 yards and 13 TDs and did not fumble over the entire season. They ran for many yards out of passing formations and won’t be affective when game planned for. When push came to shove and the Patriots had to run in the playoff game they couldn’t, as evidenced by their 5 for 16 effort in converting 3rd or 4th downs against the Jets. If Belichick can get his hands on a solid, physical running back like Ryan Williams of Virginia Tech, or Mikel Leshoure of Illinois. With six of the first 33 picks in this year’s draft, its conceivable they could select both of these guys and return to having a real power back like a Corey Dillon. Woodhead and / or Green-Ellis would be better served as 3rd down backs then they could release Kevin Faulk who is long in the tooth. Woodhead was a great story and is this team’s version of Rudy which is nice but Rudy won’t run this team to the Super Bowl. Serviceable to below average if they stand pat. Receivers: Wes Welker is the best slot receiver in football and is as elusive a player there is in the NFL. His numbers were down in 2010 with 86 catches for 848 yards v. the 123 catches for 1,348 he garnered in ’09. It was the move to a possession offense that brought down his numbers with many of the receptions that he would have seen now being thrown to rookie TEs Rob Gronkowski and Aaron Hernandez. In fact Gronkowski set a team record for TDs by a TE with 10 while catching 42 receptions and 546 yards for the season. Hernanadez caught 45 passes for 563 yards and 6 more TDs. The 2 tight end alignment became more prevalent after Randy Moss’ departure and the short passing game offset the rushing game. Brad Edelman is a Welker clone and is serviceable but can’t get deep. Deion Branch played several games like the Branch of old and may benefit after a full training camp. The new deep threat is Brandon Tate who is a burner yet needs to learn a few set up moves to get himself deep. There are nuances a receiver uses to set up a cornerback to get behind them and Tate will be a better receiver once he learns them. Its conceivable to see the Patriots address the receiver position as well with Branch going into his 11th season and Welker his 9th. Injuries are starting to add up and there is a chance for these receivers to be tightly covered without any serious burners. As a group these receivers are serviceable. Offensive Line: Remember earlier when it was said that the best way to get to Brady was with a pass rush? Well here comes the problem. This veteran line was among the best at protecting Tom Brady coming in 3rd in fewest quarterback hits with 52, and 3rd in fewest sacks allowed with 25. 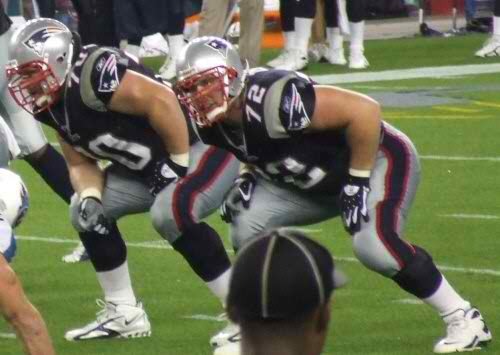 Starts up front with Matt Light at LT who takes on the best blindside rushers and keeps Brady upright. A solid tackle whose fellow linemen G Logan Mankins, C Dan Koppen, G Dan Connolly, and fellow tackle Nick Kaczur may be the best offensive line in the biz. They also paved the way for 1,973 yards and 19 TDs. There were several times where this offensive line couldnt get a push on a critical third and two yet the Patriots make the most with astute play calling and short throws to the TEs to offset this. The week of the Super Bowl the Patriots offensive line won the second annual Madden Most Valuable Protectors Award for the most outstanding offensive line. This is a Super Bowl caliber offensive line and along with Tom Brady made some marginal RBs and WRs look like stars. Defensive Line: The beef upfront starts with Vince Wilfork, the immovable DE / DT from “The U”. As we go to press this week the ink is drying on the free agent contract for Marcus Stroud formerly of Buffalo. Wilfork has been joined by Gerard Warren in clogging the middle of the Patriots line allowing for linebackers to make tackles unselfishly. Evidence of this?? 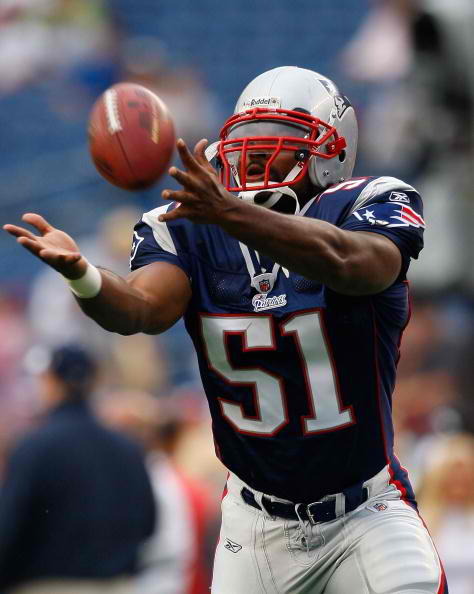 The leading tackler in the NFL in 2010 was Patriot ILB Jerrod Mayo with 175. Thanks in large part to Warren and Wilfolk tying up blockers. Mike Wright and 2nd year DE Ron Brace need to stay on the path to improvement that led to such a strong defensive finish. However the Patriots could use 1 or 2 of those first 6 picks here to improve a pass rush that relies on ‘backers to get to the quarterback and not it’s D-Line. Thirteen sacks by the D-Line is not enough. Steady up front but not spectacular. Linebackers: This group begins and ends with the stellar play of Jerrod Mayo, who was a first team All Pro selection after leading the league in tackles with 175. Following him along the Belichick learning curve is Brandon Spikes from Florida. Entering his second season watch for teams to try and fool him out of position as they did early in his rookie season to no avail. No one has been teaching excellent linebacker play over the last couple of decades like Bill Belichick, expect him to round these two into shape and anchor his defense for the next decade. If there is an injury that robs either of time, there is special team ace Gary Guyton to fill in nicely. Decent set of linebackers with room to grow. Throw in second year linebacker Jermaine Cunningham and you can see Belichick has much to tinker with. Secondary: This was the area the youth movement on defense made some strides that may come to benefit the Patriots entering 2011. Rookie Devin McCourty picked off seven passes on his way to his first pro bowl. Brandon Merriweather the starting FS from Miami has to reel in a sometimes undisciplined approach that saw him gain notoriety from a head to head shot on Ravens tight end Todd Heap last season. Aside from that this was a Pro Bowl safety with a penchant for making big plays in the secondary once teams made it past the linebackers. Merriweather tied twin strong safeties Patrick Chung and James Sanders for second on the team with 3 interceptions. There should be a spirited battle between former 1st round pick Darius Butler and Kyle Arrington for one of the corner spots. This is a young, aggressive secondary. One with two pro bowlers on it and with continued improvement could grow into the best in the NFL. With 3 quality corners and safeties, Belichick can turn them loose in very exotic dime packages to confuse rival passers. A good secondary with a chance to be really good this year. Overall: If you detected a pattern of looking back to the AFC Divisional loss to the New York Jets during this article, there was a reason for it. This is the only team that stands in the way of the Jets playing in that elusive Super Bowl. It will be the Jets v. these Patriots for the AFC Championship Crown. A little improvement in the running game will benefit this team greatly. Once teams realize Brady can’t get deep on them they will have the intermediate routes fully clogged with defenders to smother his hot routes and crossing plays. If the Patriots stay pedestrian in the running game they will continue to lose during the playoffs and not get back to the Super Bowl and excorcise the demons of Super Bowl XLII and subsequent back to back home playoff losses. Take some of the pressure off of Tom Brady and they can overcome the Jets, without that pressure, the Patriots pedestrian receivers will doom them against superior Jets corners again. Thanks to the Jets winning last year, let it be known that a rivalry has been born. Hatfield v. McCoys for the AFC Championship. Rex Ryan said, in one of his rookie press conferences, that he wasn’t ‘brought in to kiss Belichick’s rings’ … What you going to do about it Bill?? A good draft by the Patriots can tilt the balance of power back in their favor. Can the Patriots match their 14-2 record?? I think there will be a slip from that to maybe 11 or 12 wins but they will be there battling in the end. This entry was posted in 2011 Team Previews and tagged AFC, afc conference championship, bill belichick, Brandon Merriweather, ESPN, new england patriots, NFL, NFL Network, nl countdown, Super Bowl, The U, tom brady. Bookmark the permalink.